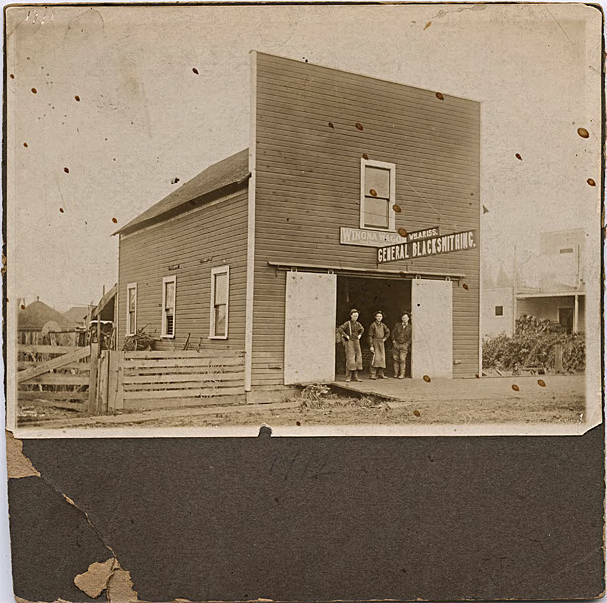 Sepia-toned image mounted on heavy mat of a small, two-story blacksmith shop. A single garage door stands open in a square front facade, and three men, two in work clothes and one in a suit, stand in the doorway. A single window opens above the garage door, and a sign hangs perpendicular to the building with the legend, 'W. H. Ariss. 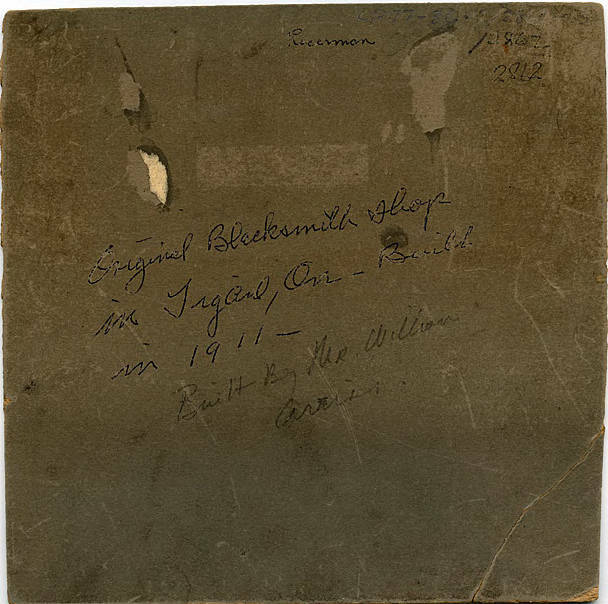 General Blacksmithing.' On the wall below the window hangs a second sign advertising 'Winona Wagons'. Wooden fencing surrounds a yard to the building's right, with various wagon wheels and other equipment just visible through and above it, and brush fills a vacant lot to the building's left. [front] [pencil] 1912. [back] Ricerman. [pen] Original Blacksmith shop in Tigard, Or. - Build [sic] in 1911 - [pencil] Built by Mr. William Ariss.